Download Music App Free PSD. This is a music app concept made for mobile using Material Design. The Music App Free PSD looks fun and fresh with blue color scheme. 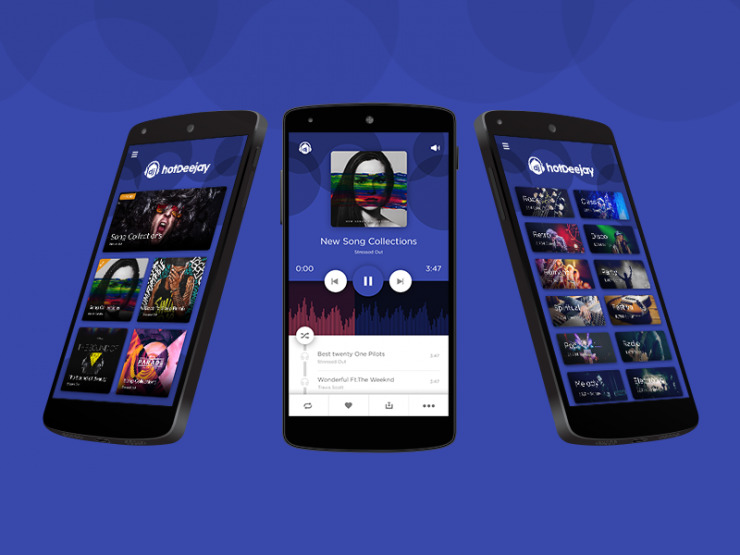 In this Music App Free PSD you will find 3 app screens such as music player, category screen and music app home screen which you can use it to build different types of mobile app as well. So you should definitely check this Free Music App PSD to build you own music application. Hope you like it. Enjoy!